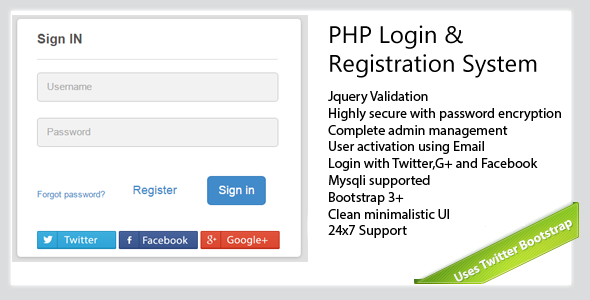 Secure PHP login and Registration system is built with Bootstrap and PHP. 1. The login and registration module is highly secure with password encryption that is impossible to decipher the password stored in the database.